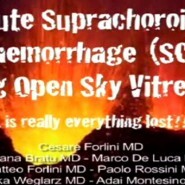 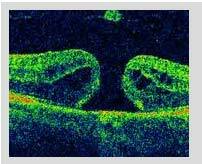 Posted by Cesare Forlini, Adriana Bratu, Marco De Luca, Matteo Forlini, Paolo Rossini and Monika Weglarz on Oct 1, 2010 in Awarded Videos, suprachoroidal hemorrhage | Comments Off on Acute Suprachroroidal Hemorrhage During Open Sky Vitrectomy: … Is Really Everything Lost? 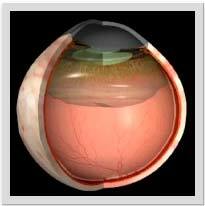 Advantages:Suprachoroidal hemorrhage is a rare but dangerous complication of intraocular surgery. 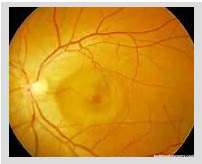 This video shows a management of expulsive haemorrhage with the extrusion of intraocular contents during a open sky surgery in an elderly woman. 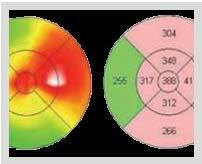 In our patient with corneal decompensation following cataract surgery with AC-IOL implantation and myopia, suprachoroidal hemorrhage occurred during the surgery and the first step was the immediate closure of the globe with corneal graft sutured tightly and immediate suprachoroidal drainage with 23 Gauge trocars. 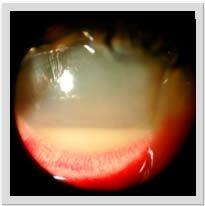 After 2 weeks the second step was performed: drainage with 23 Gauge and vitrectomy with reopening of funnel-shaped retinal detachment and heavy silicone oil tamponade. 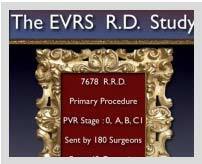 This case study highlights the strategy of adequate management and the good anatomical result.